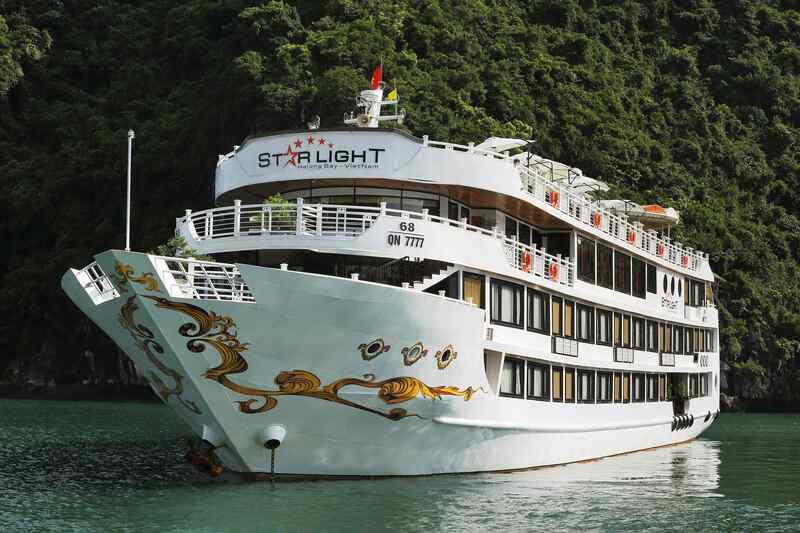 As the newest boat in Halong, Starlight was built in Apr 2013 with large room size (22 m2) including private Jacuzzi, mini golf and free photo-taking. 58 meters in length, 11 meters in width and an engine of 330 h, the Starlight is a reliable and powerful friend in every cruise. 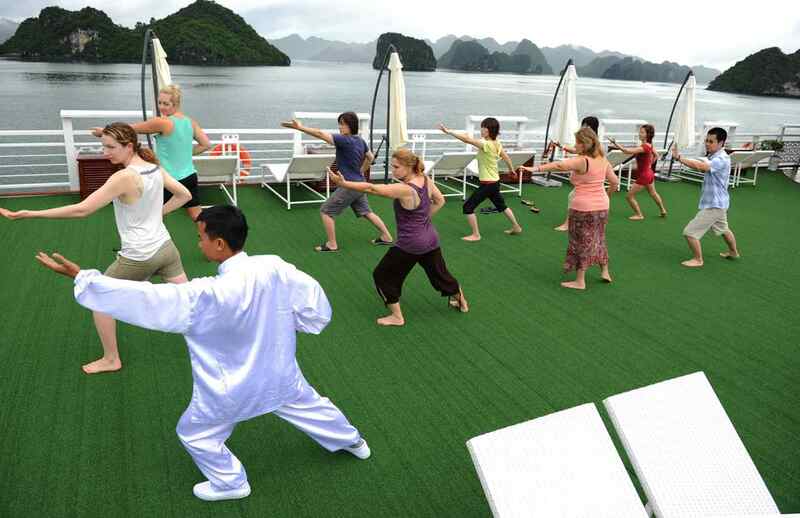 The maximum capacity is 64 passengers making Starlight a flexible cruiser and the great ideal for family holiday, old-school friends and company celebrations. 7:45 – 8:30: Pick up at your hotel in Hanoi by shuttle bus. Leave Hanoi for Halong Bay. 12:00: Rejoin the shuttle bus return to Hanoi. 16:00: Arrive hotel in Hanoi. 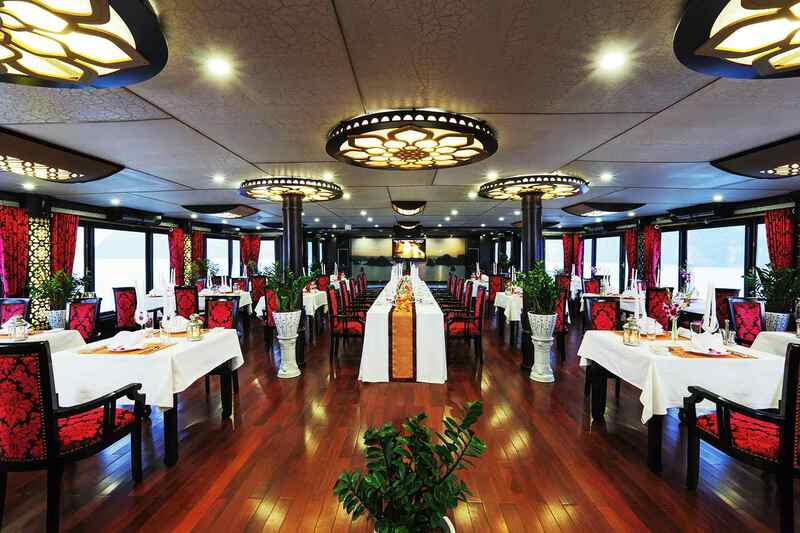 Finish the most luxurious Halong Bay trip on Starlight Cruises. Good bye & see you again!